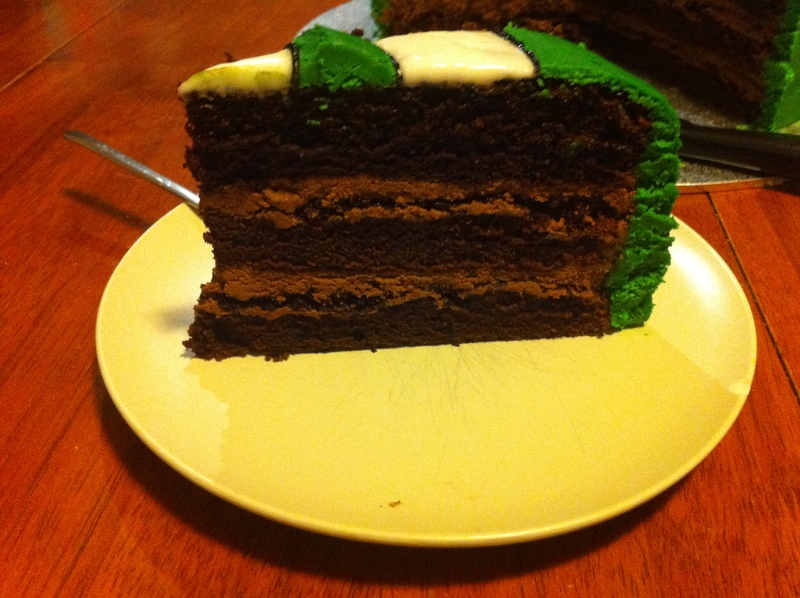 The above cake took me about six hours, the decoration was quite fiddly but hubby loves green lantern and superman and all those kind of guys, so i made a three layered chocolate buttermilk cake with chocolate ganache in between, it was pretty good!! 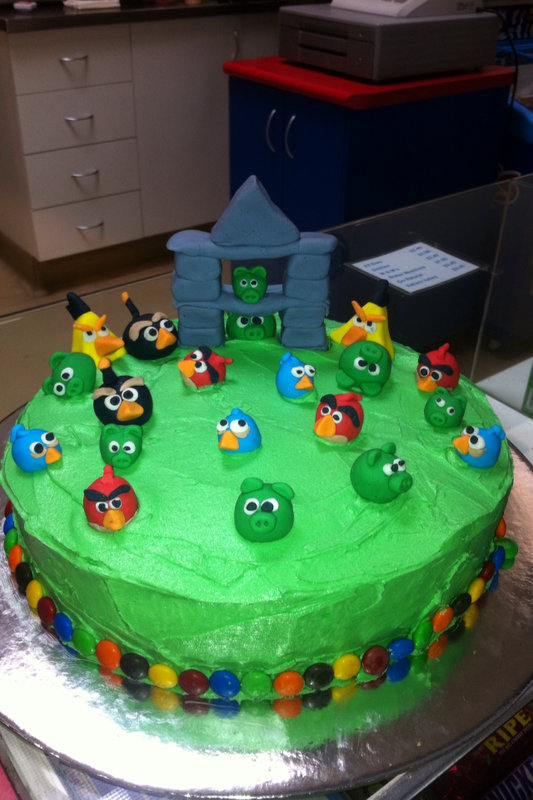 The above one took me about 16 hours, it was a chocolate layer cake with fondant angry birds and decoration. One of the hardest ones I’ve done but it was so much fun. It felt like going back to kindergarten molding all the figures. 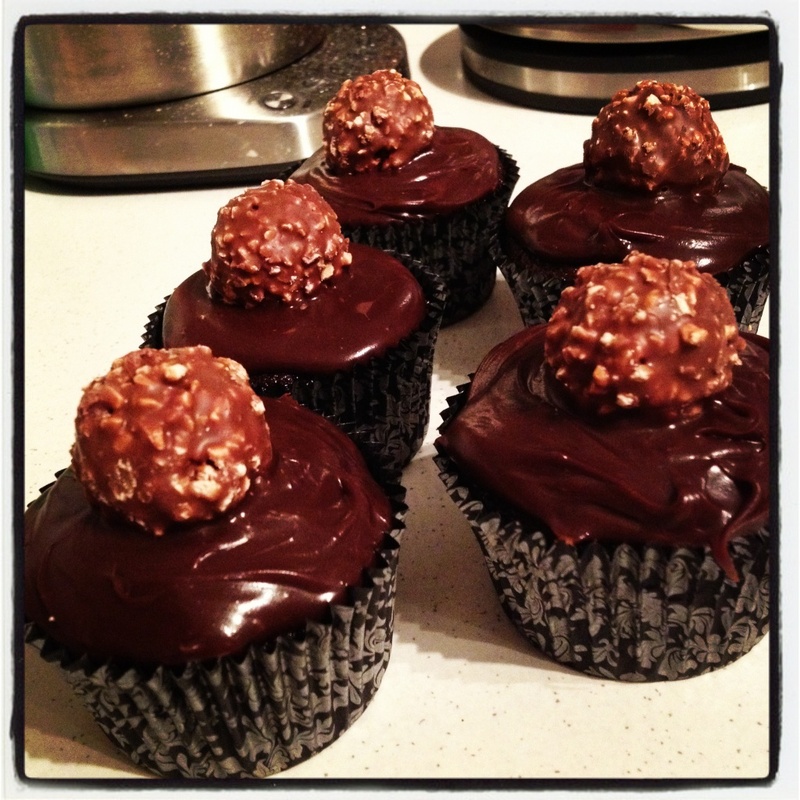 These are the ferrero rocher cupcakes, SO SO rich, ridiculous. But really tasty, I love the chocolates. 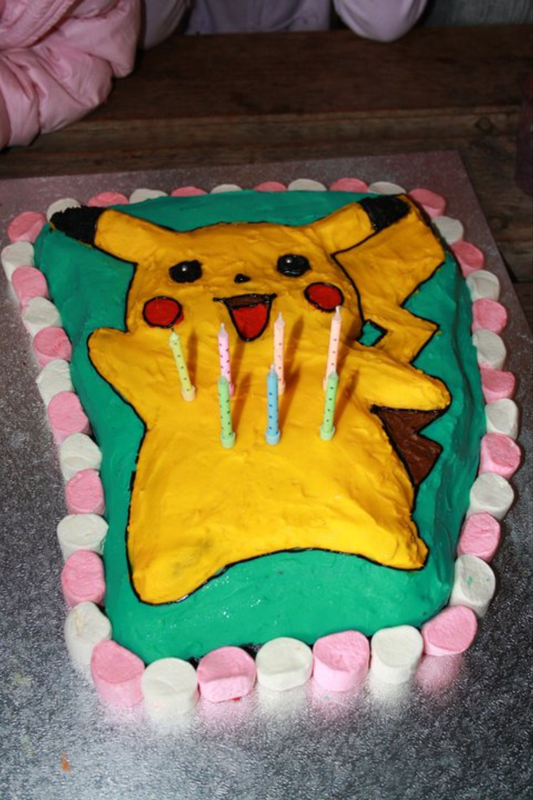 The pokemon cake took me about ten hours, it was very fiddly and precise but she loved it. I get so much joy making things like this for my kids, they get pretty excited. And lastly, possibly the most decadent. 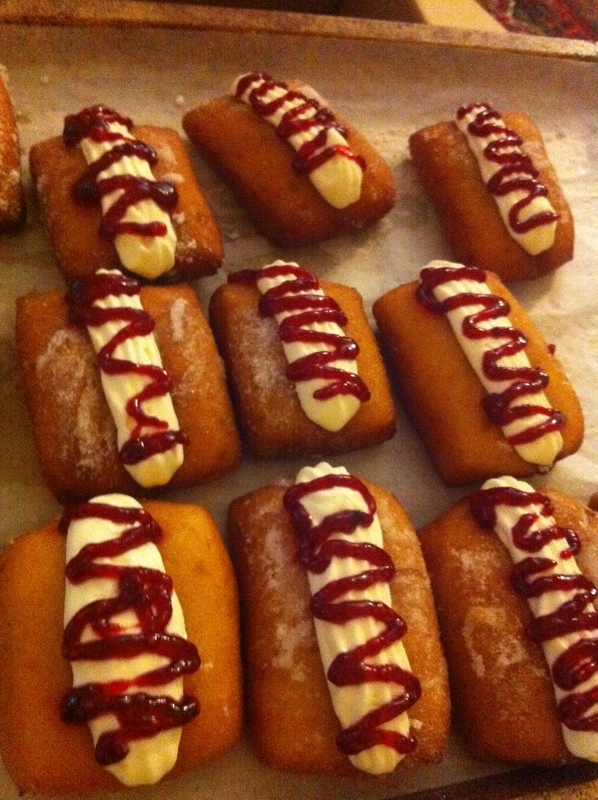 Home made potato donuts with stabilized whipped cream and home made raspberry jam. They were so tasty but I could only eat one, you could feel your heart clogging up! Haha.So i would encourage anyone who gets stuck in a down swing to find something you love to do, something you can do at home by yourself and get into it. Just doing SOMETHING can make all the difference, I’m a creative soul and so creating anything, be it a song a poem a painting a cake, it’s all cathartic for me. thank you sooooo much for that taste bud satisfaction!! That would be awesome; however, enjoying it in pictures is less fattening! Your baking all looks very yummy! Very cool. I don’t have the kind of patience it looks like you need to do such creative cakes. They look amazing! My son (also bipolar) goes through baking binges when he’s on his manic phase. One year he made home made pumpkin pies, from picking and cooking the pumpkin! They were delish! Maybe there needs to be a Manic Bakery? Yeah, when he’s down, he’s really down. Though lately he has been mostly better (except for our big fight a few weeks ago, but a lot of that was on me). It’s hard when one of us is bipolar and the other has major depression (me). Luckily my husband doesn’t have mood problems. A big fight with a loved one can certainly make one spiral, it must be tough at times with both of your mood disorders in the house. How old is your son? He’s 32 and certainly needs to get out on his own. I am working with him to get through some of his issues. If things continue to improve and we are able to help him get some sort of health insurance I hope to have him living on his own by this time next year. Fingers crossed. We will soon have “Obamacare” though we already had Medicare, I guess this makes more care available to more people. I haven’t seen anywhere that explains how to apply though. Medicare is the national health care system we have had since the 1930s. Basically it covers the retired, elderly and disabled. Obamacare (as I understand it) covers basically everyone else who for various reasons do not otherwise have health insurance. IMO we’d be better off without insurance altogether…I need health care, not health insurance. Wow those are awesome. You’re incredibly talented, I could make anything as elaborate as that. I can barely spread a single layer of frosting without ruining the cake! hahah That’s an excellent coping method! These are all amazing!!! I love that you have something to help occupy your mind, we all need that. 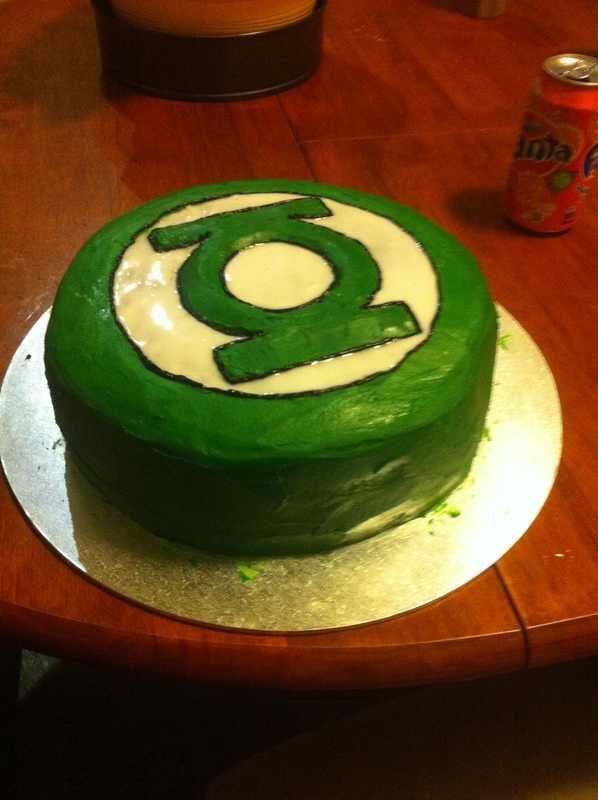 These really make me want cake, I really want some of that green lantern one, oh my goodness looks delicious!!! 🙂 Thanks for sharing. OMG – they look fantastic – I think I’ve gained weight just looking at the photos !!! !